End of summertime and the livin’ ain’t easy for Zoe | News by Wales Express News, People Before Profit! Spare a thought for Zoe Sheen when the clocks go back this weekend. 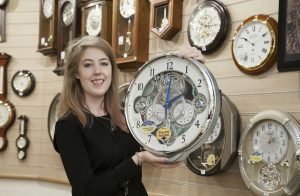 She’ll have too much time on her hands when she has to change the time on all the clocks and watches at the F Hinds jewellers shop at Eagles Meadow in Wrexham. Zoe will have to adjust the store’s stock of around 1,000 timepieces when British Summertime officially ends on Sunday, October 29. 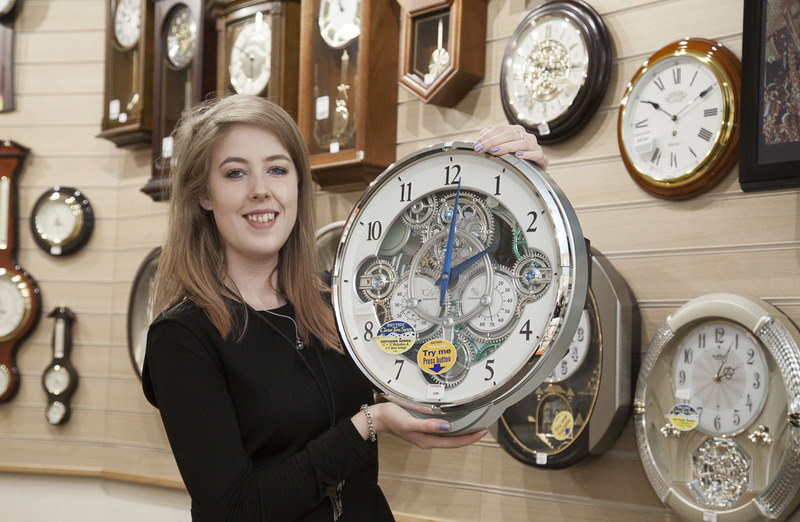 Shop assistant Zoe Sheen of F Hinds jewellers in Wrexham’s Eagle Meadow Shopping Centre has the task of turning up to 1,000 watches and clocks back an hour this weekend. She said: “It will take around two days to do and when I finish I’ll breathe a sigh of relief. It’s hard work as some Casio and Citizen watches are quite complex and have different modes. “I usually start with the big clocks before moving onto the watches. It would definitely be easier if time went straight on and didn’t change!